When two passionate creatives meet, all sorts of magical things can happen, even more when their respective worlds otherwise hardly ever meet. After a few years of secretly admiring each other's work in the streets of Ghent, they decided to blend their passions. In a special limited edition of only 100 numbered scarves, the worlds of street art and knitwear meet each other. 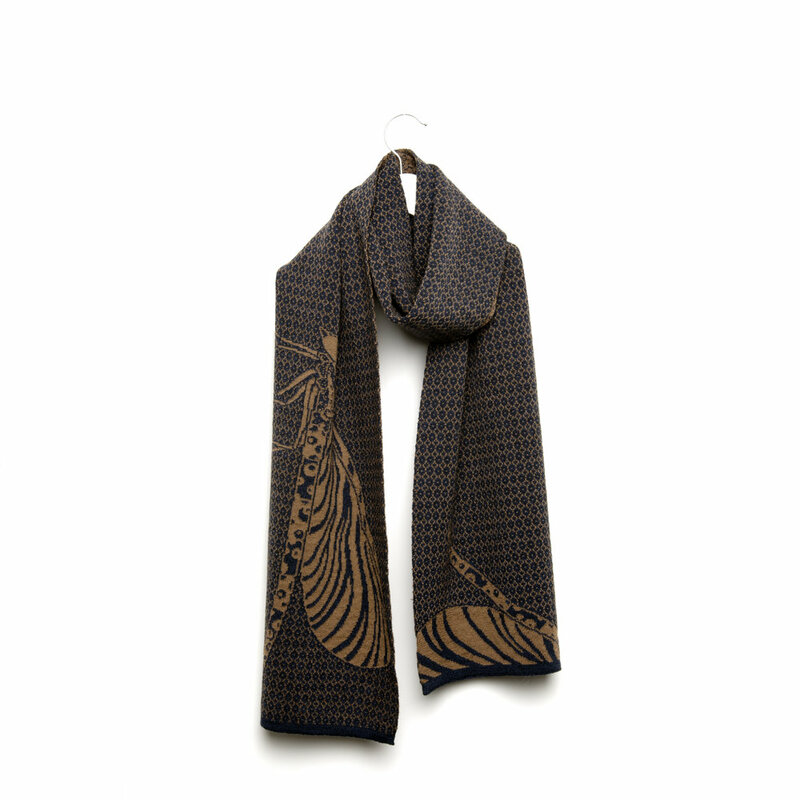 Each scarf is uniquely 'tagged' with little accents and comes with a screen printed cotton bag. A Blend of Australian merino wool, knitted in a refined delicate jacquard, made for men and women. 100% designed in Ghent, 100% made in Belgium. Subscribe to our newsletter and be the first to hear about what’s happening.